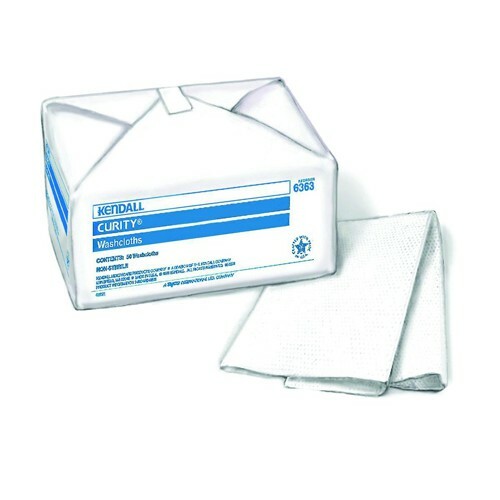 Kendall Healthcare Moderate Absorbency Washcloth, 10" x 13", White, Apertured Finish. Washcloths provide moderate absorbency in a single use wipe. Moderate absorbency washcloths packaged for easy single-use convenience. Midrange style, moderate absorbency. highly absorbent, wet or dry. 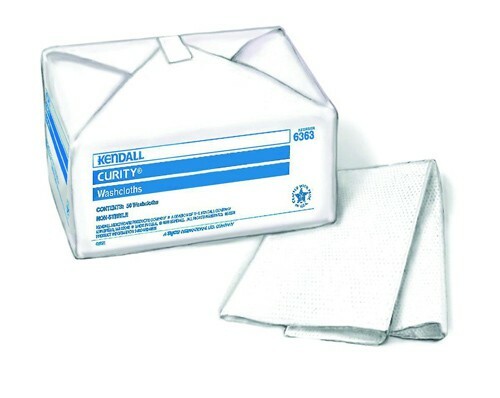 These nonwoven Kendall washcloths are packaged for easy single-use convenience. 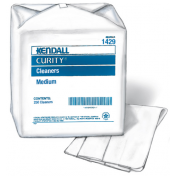 Kendall Washcloth feature a handy size for tray linens or clean-up cloths. I love these washcloths they are very durible and great on sensitive skin. I bought these curity washcloths to use as wipes for my newborn. These were the wipes we used in the hospital. Just add water and they are perfect for sensitive skin! I bought a box of 15+1 for free shipping and they arrived a day later. I have used them with all four children. They are a little big for me so I cut them in half before wetting them. My mom uses them for washcloths when she travels. Great product! And great company to order from. Love the for my baby! The hospital I had my baby in uses these for the newborns with just warm water due to their skin being so sensitive and I liked the so much I ordered them for at home. Not only are they great for that, they are also great for using as a burp cloth when traveling so you don't have cloths with spoiled milk sitting in the diaper bag. Shipping was also faster than I expected. I had them the very next day after placing the order! Works as a towel too! I use this everyday, when at work, at home or anywhere. I use it to wipe after urinating and wipe my hands before and after eating. I feel so clean when using it and I recommended it to my friends. I love how it works to dry not only my hands but my whole body. Conveniently sized for use as tray liners or clean-up cloths. Highly absorbent wet or dry. I also like the way they are because it's handy for users being easy single-use convenience in a handy size for tray linens or clean-up cloths. Needless to say, thanks to your excellent customer service!